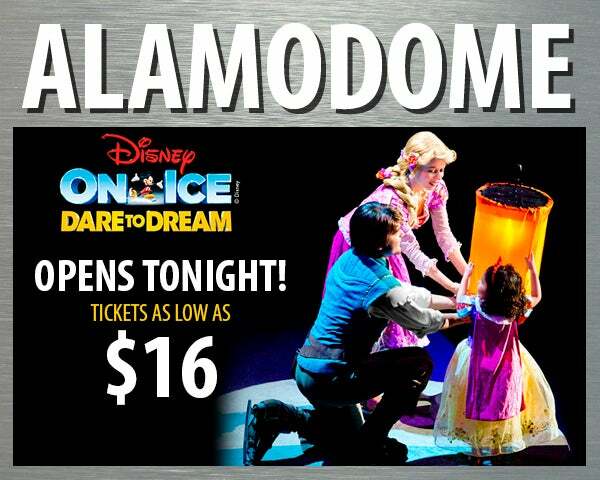 The Alamodome offers clients several digital assets to help publicize events and generate ticket sales. In order to utilize our free marketing tools, clients should provide their event image files at the design specifications listed below. Templates and examples are provided for your convenience. 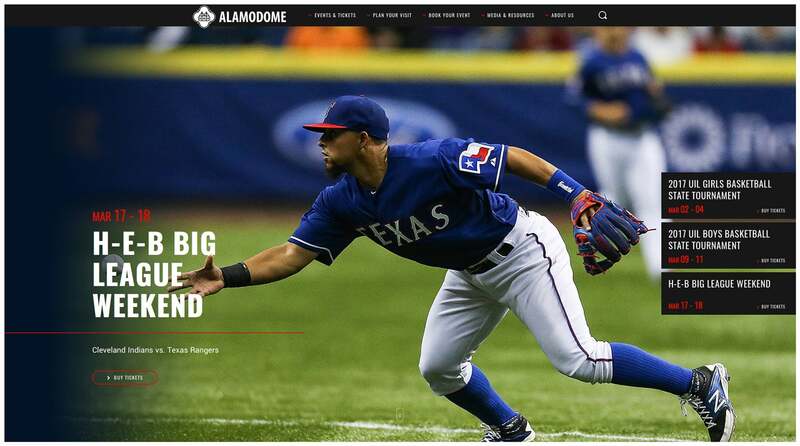 Contact Alamodome Marketing with any requests that fall outside of our standard inventory. PLEASE NOTE: All marketing related graphics are due two (2) business days prior to electronic publication or eBlast send date and time. 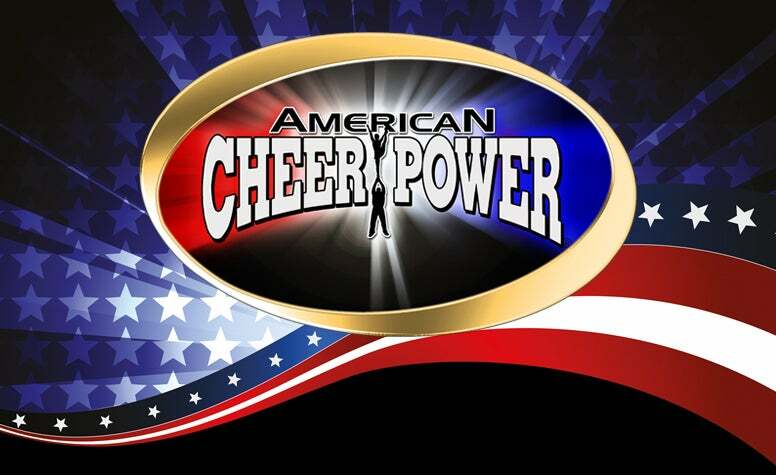 Day of Show graphics and videos are due one (1) week prior to event date. For more information, please review the list below. 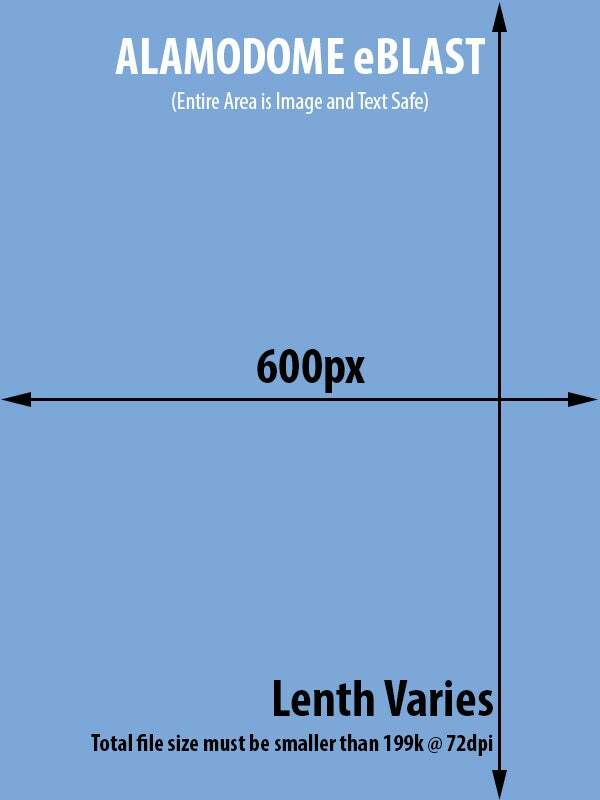 eBlast graphics are single RGB JPEG images no wider than 600px with a *total file size no larger than 2MB @72 dpi. Best if JPEG is “saved for web.” The image links to the ticket site. If there is a “more information” link, include that in your mass email as linked text. 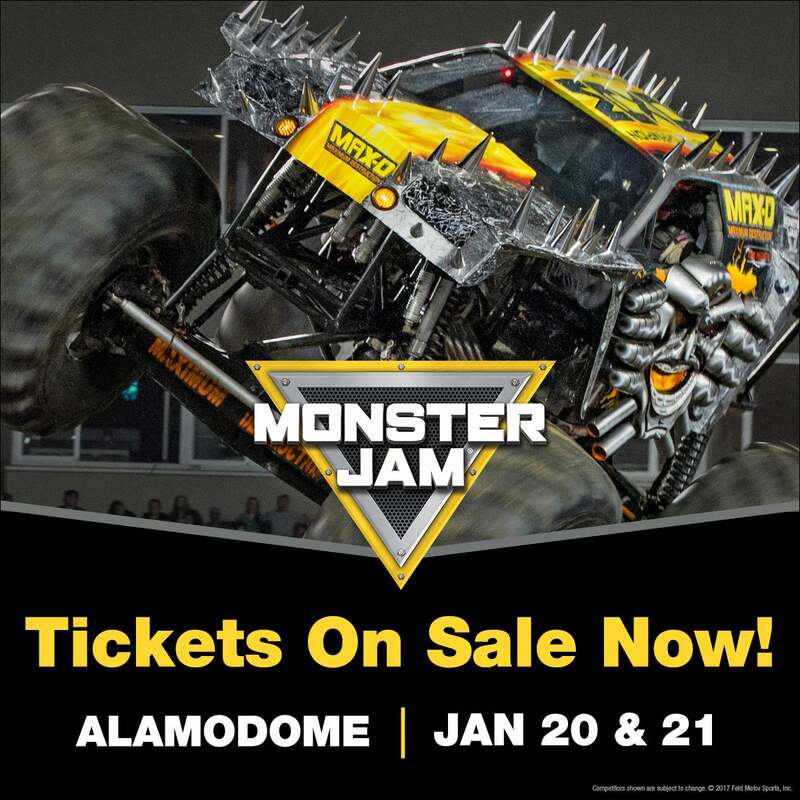 PLEASE NOTE: The Alamodome utilizes a Ticketmaster application for mass emails. 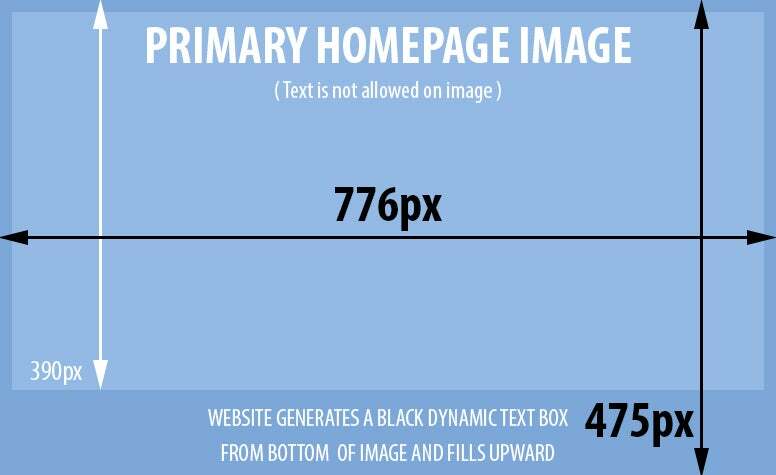 Designs in HTML are supported as long as the client's code resides on a public server. 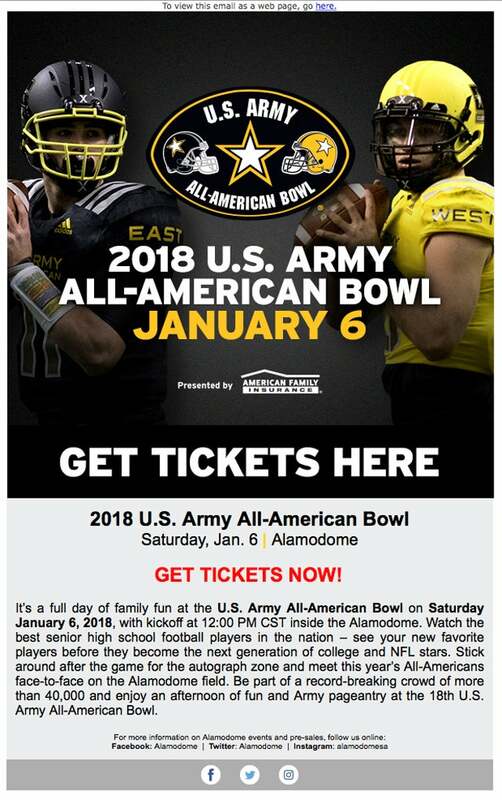 Please contact the Alamodome Marketing Department for details. Files are best if “saved for web,” JPEGs at 100% size in RGB color mode. 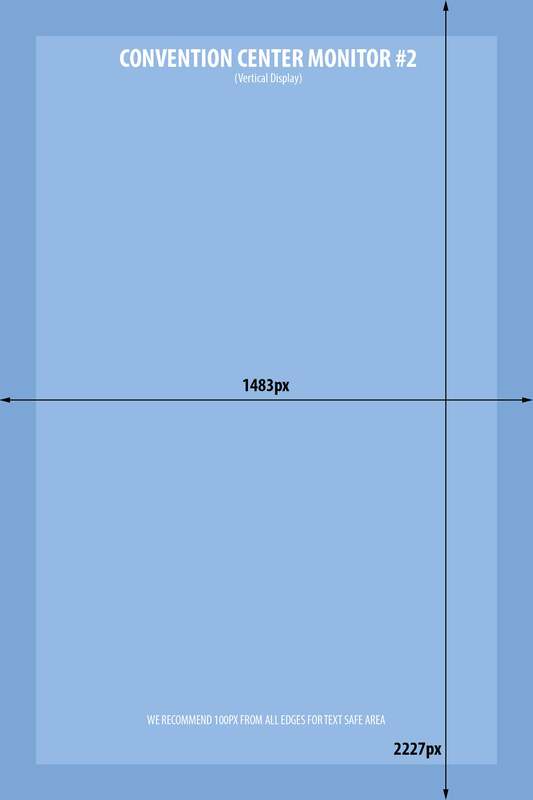 Resolution is 72 dpi for all graphics. PLEASE NOTE: There is no video on the Alamodome marquee. We limit Marquee graphics to a maximum of two slides per event. 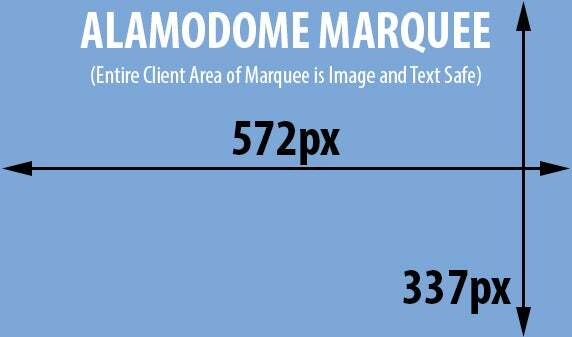 Client graphic is applied to a standard Alamodome marquee template for continuity. PLEASE NOTE: The 360 Ribbon Board is divided into eight (8) separate sections. Please keep this in mind when creating a continuous 360 ring. PLEASE NOTE: The Henry B. González Convention Center is the City of San Antonio's downtown convention center located adjacent to the Alamodome. The HBGCC monitors run Alamodome event announcements as a courtesy to our clients. PLEASE NOTE: This is a single photo or Illustration (NO INFO GRAPHICS) with the main action in the center of image. Best if main action/subject faces forward or moves left to right. NO EVENT LOGOS OR TEXT are allowed on this image. A gradation runs across the left third of the image with white web generated text on top. Homepage Feature graphic placement is at the discretion of the Alamodome. 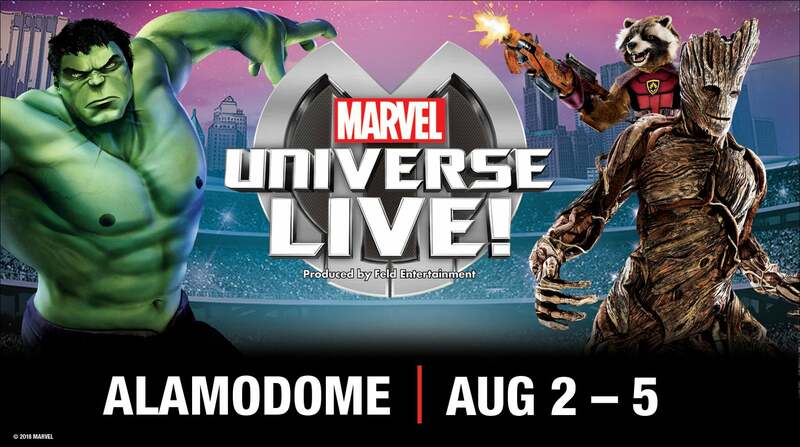 Main Events Listing Image. No logos or text near bottom third of image. Image appears on event landing page. Logos and text okay. 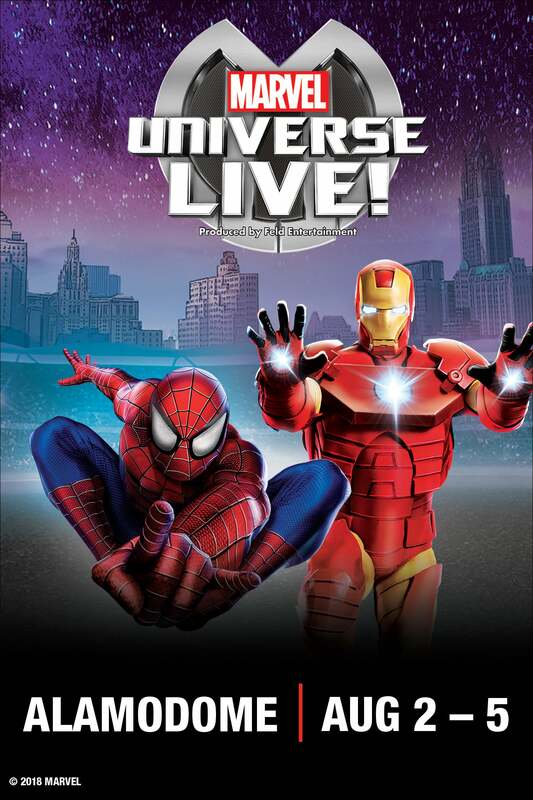 Website date, time and "Buy Tickets" button are located to right of the image you provide. TEXT IS NOT ALLOWED. 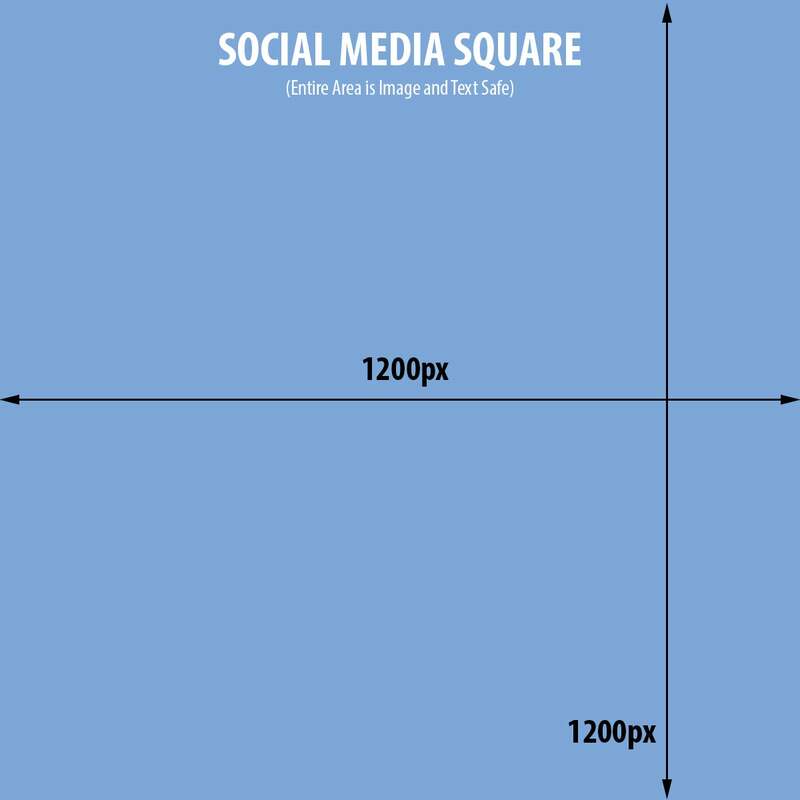 Keep important visuals away from bottom third of image. This is an EVENT DAY ONLY MESSAGE pop-up window. Provide a single photo or illustration (NO INFO GRAPHICS). 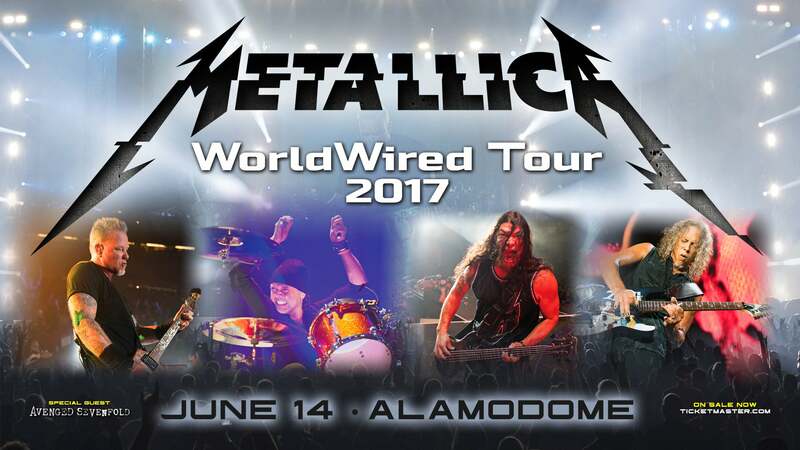 No event logos or text are allowed since the Alamodome website dynamically generates a text box which overlays this image. Interior Slideshow Images are 1170px by 540px. 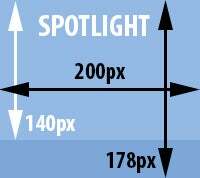 Provide up to four (4) photographs for slideshow display on your event page in lieu of your (Single) "Event Detail Page IMAGE". 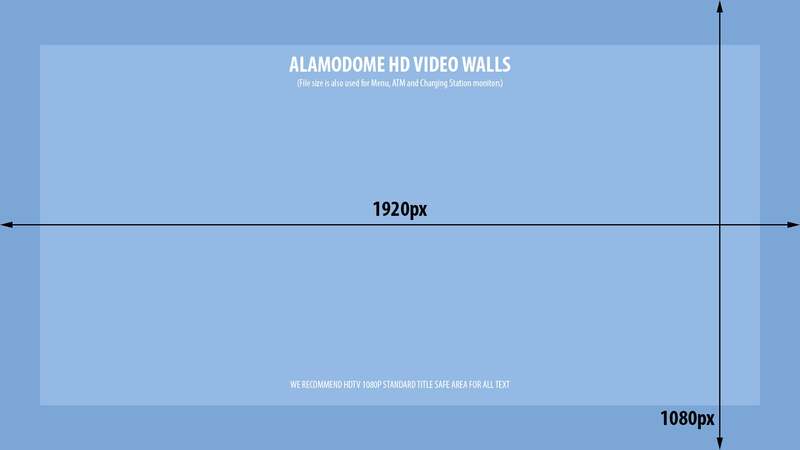 Contact Alamodome Marketing with video link requests from YouTube. DAY OF SHOW GRAPHICS AND VIDEO should be sent directly to Alamodome A/V Staff for review and display. 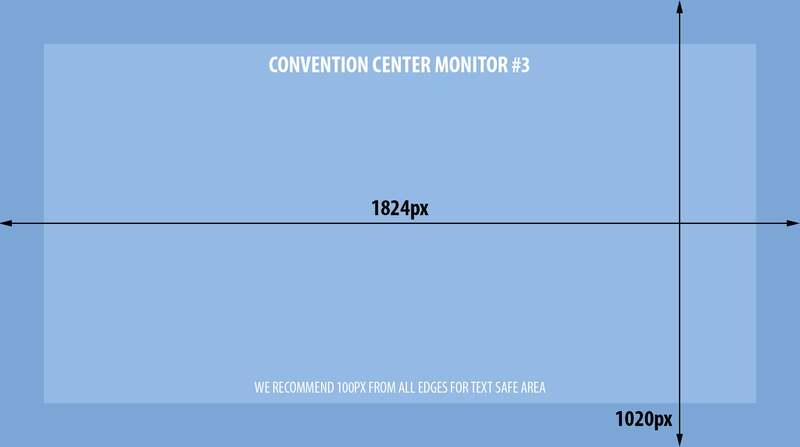 For information and style guide, download the AUDIOVISUAL SPECIFICATIONS FOR VIDEO WALLS AND 360 RIBBON BOARD PDF.